It's no secret that I'm kind of a fanatic about jumping on great airfare deals. If there's one recommendation I have for those hoping to travel more, it's to buy great airfares first, and sort out the details later. It's easy to feel overwhelmed by all of the decisions that go into planning a trip, but for me, I find that the first step of buying a plane ticket is just the kick in the pants I need to begin my planning process. Plus, I find that the closer you pay attention to the ebb and flow of airfare deals, the more trends you can spot year over year. A few years ago, I realized that there are almost always great deals from NYC to Milan in November and December. That time of year is certainly the shoulder season, and weather can be totally unpredictable. However, Milan is so centrally located, it's an ideal starting point for an array of wonderful excursions. Florence is three hours by train. The Cinque Terre coast is two and a half by car. The slopes of St. Moritz are just as close, as are the vineyards of Tuscany. After I nabbed a great pair of tickets for Zach and myself, I started my research. What caught my eye was a small town I didn't know much about in the south of Switzerland. 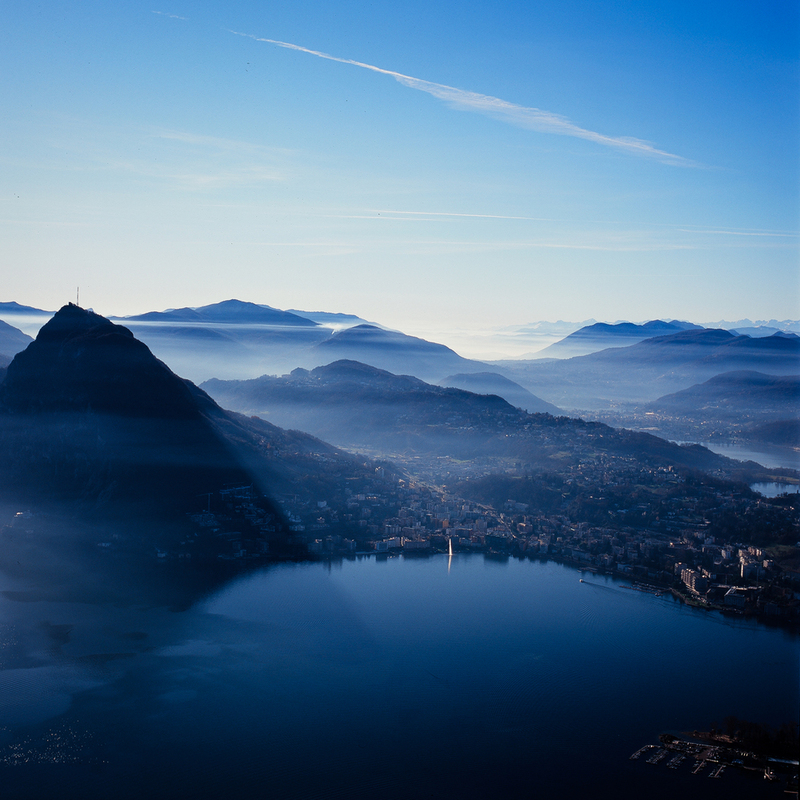 Lugano sounded lovely, an Italian-speaking city in the canton of Ticino. Year round palm trees, towering Alps nearby, close enough to the glitz of Lake Como without being in the center of all the action? Count me in. 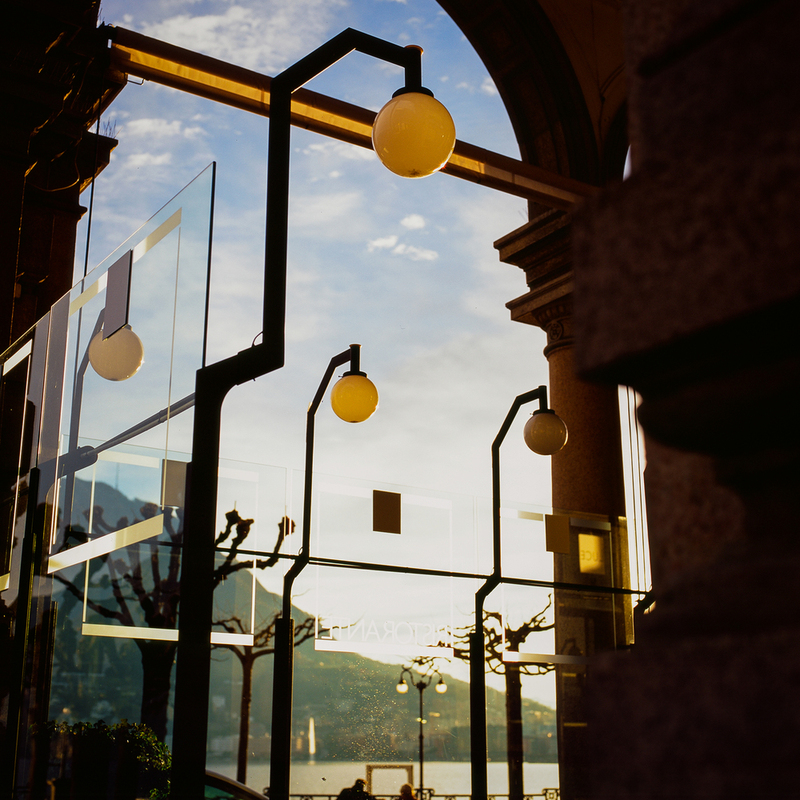 Lugano has an interesting (and ancient) history. Scientists have found evidence of inhabitants all the way back to the Stone Age, and monuments that originate from the Etruscan and Celtic civilizations. The Romans came to Lugano in the first century BC, Napoleon conquered it as part of the Helvetic Republic, and then George Clooney colonized all of the nearby villas with an army of celebrities and billionaires. History aside, I wasn't quite sure what to expect of our trip. After a quick couple of nights in Milan and a side trip up to St. Moritz on the Bernina Express (which was awesome! ), we bought train tickets for an early morning departure from cold, rainy Milan. 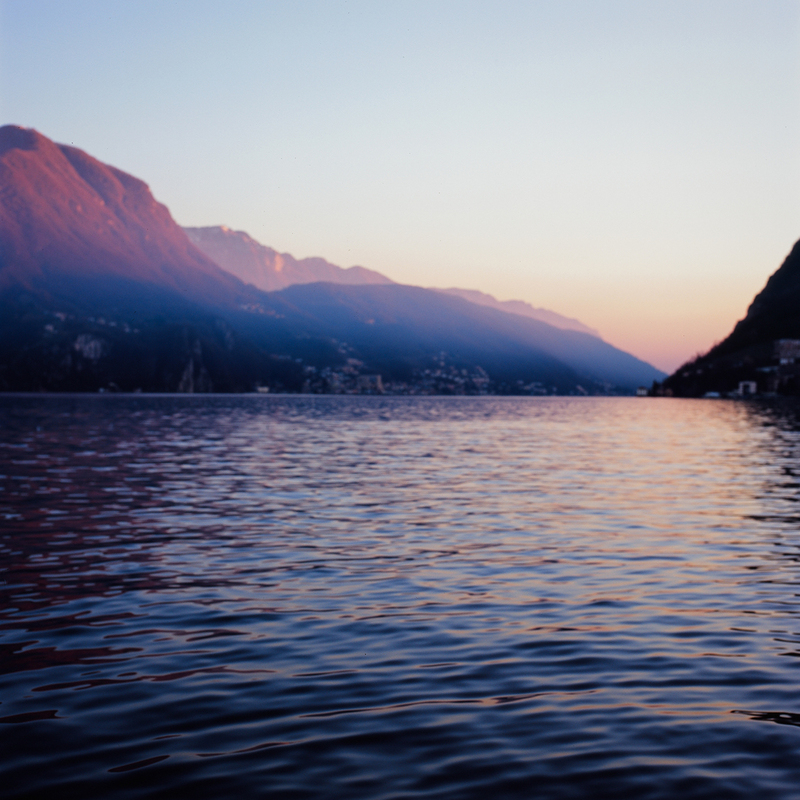 As soon as we left the city and curved our way around to catch our first glimpse of Lake Como as the sun rose, we knew we were in for a treat. The fog began to lift and the depressing drizzle gave way to sunshine and beautiful blue reflections for miles. The ride was 90 minutes of jaw-dropping views. 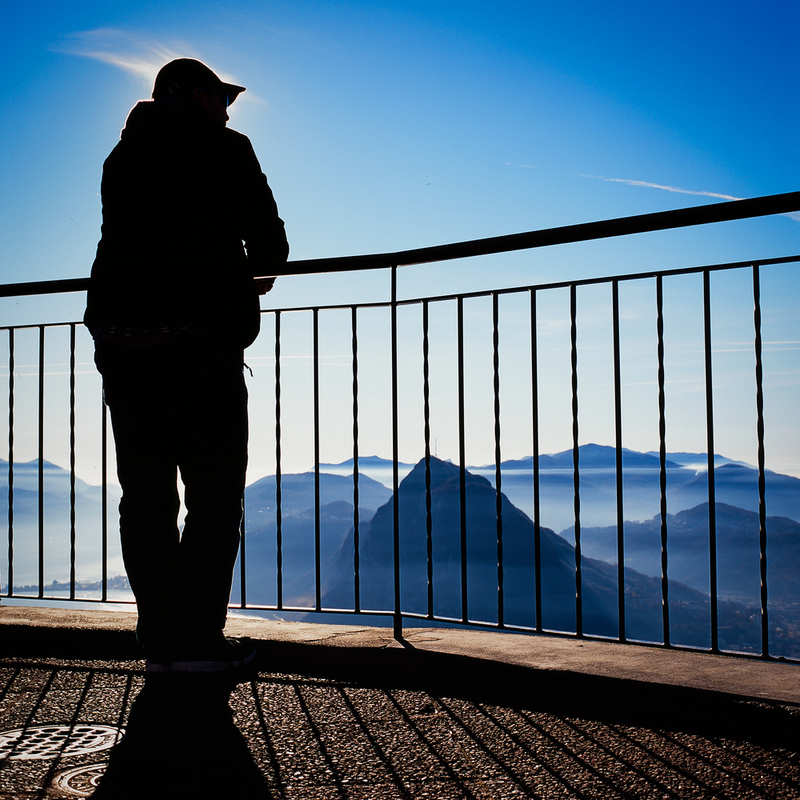 Once in Lugano, we walked downhill from the train station and checked into the conveniently close Hotel Federale where I'd booked us the top floor double room, lured in by its wrap-around balcony and incredible vistas. Its online promise delivered: the lake stretched out towards the horizon with the city around us sleepily waking up, and all was good in the world. I wish I could say that we saw all Lugano has to offer, but in truth, her beauty foiled our best-laid plans. Long walks were in order, the spectacular sunsets melting into the glacial abyss. Our nightly strolls through the Christmas Market at the Piazza della Reforma were full of fairy lights and the intoxicating smells of mulled wine and cider. We stopped at sidewalk cafes to warm up with Italian coffee, indulged in gelato after shopping up and down the steep cobblestone streets, and rode the funicular to the top of Monte Bre for some of the most stunning views I've seen in all my years of travel. We bought baguettes at tiny boulangeries, ate obscene amounts of Rolf Beeler cheeses, and finished it all off with great Italian reds. I wouldn't have it any other way. Lugano, we'll be back someday. All photographs shot with my Mamiya C330f & Mamiya Sekor 80mm lens. 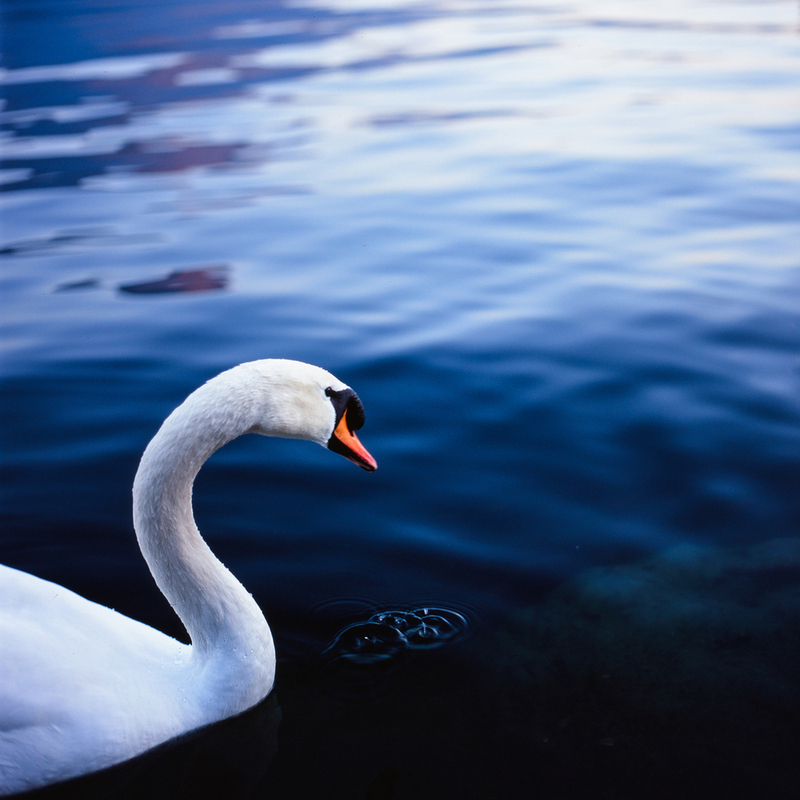 This gallery includes a selection of films, mostly Fuji Velvia and Kodak Ektar.